Improvements in energy efficiency, alterations in cooling mechanics and extra features such as ice machines and crisper drawers summarise the evolution of the most common kitchen appliance over the past century. Since its invention in 1913, the basic concept of the refrigerator, that is, a housing unit to keep food cool, has fundamentally remained unchanged, with the most glaring change in its design being its significant increase in size. Refrigerators have grown on average 1 cubic foot over the past few years in America (Longrigg 2004), creating not only a higher demand for electricity, but also promoting a culture surrounding food waste. Statistics show that on average 40% of food bought is wasted (Gunders 2013), derived from the path of overconsumption born from the consumers need to fill up their increasingly bigger fridge. Evidently, there is a need rethink the way we store and preserve food. Our over dependence on the refrigerator has not only promoted a food waste culture, as the bigger size makes us inclined to buy more food (Acaroglu 2013), but has also impacted on our knowledge of food care. We instinctively put leftovers and uneaten food in the fridge, yet this is often not the necessary course of action, and as a result, a vicious cycle between food waste and fridge size is created. For example, condiments such as ketchup and mustard are not required to be refrigerated, yet you would find them in the fridges of the majority of Australian households. 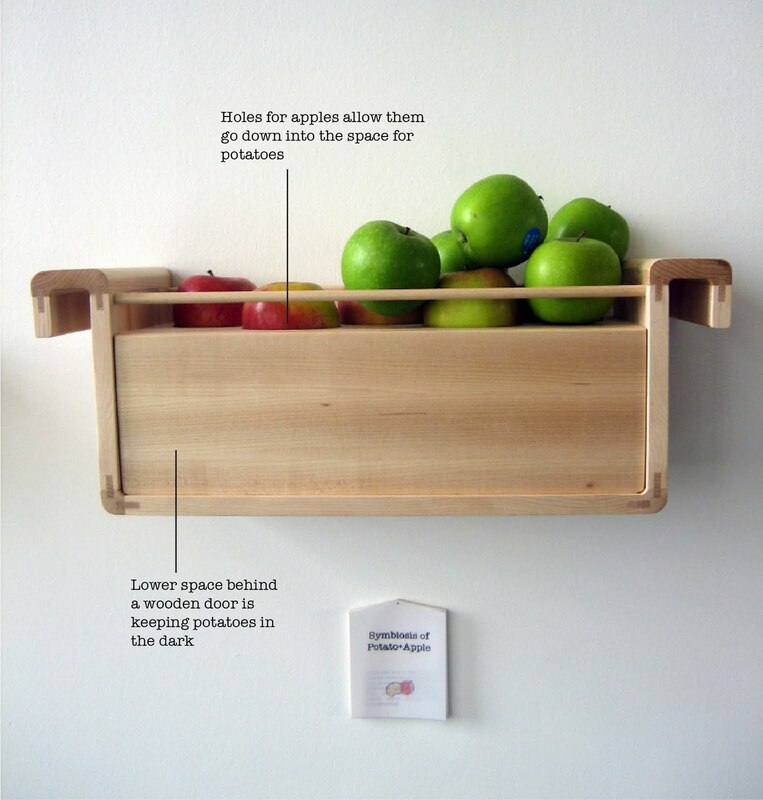 This unhealthy thinking model is also applied to fruit and vegetable preservation within the home. Rather than buying fresh produce to last the week, many consumers opt to refrigerate their fresh produce for later use, ultimately discarding it as it has remained hidden within the fridge for weeks. While the refrigerator is a symbol of modernity, it is evident that there is a need to acknowledge the connection between the culture surrounding refrigeration and food waste, and to develop innovative and radical solutions through design lead system change. However, a shift so radical is not possible without the use of a disruptive innovation, a technology that gradually replaces the current convention despite being radically different (Hedberg 2006). In the meantime, there is a need to reintroduce knowledge around food preservation back into everyday life. Jihyun Ryou’s project Shaping Traditional Oral Knowledge is an attempt to realign food preservation with nature. By creating preservation methods out of natural resources and processes, Ryou presents alternative methods to food preservation, out of its currently refrigeration context, in order for people to perceive food as a living organism again. One of her products in the collection, Symbiosis of Potato+Apple creates an environment where the ethylene gas emitted by apples, which conventionally speeds up the ripening process of fruits and vegetables, is utilised to prevent potatoes from sprouting, increasing longevity without the use of the refrigerator.